I’ve always been a fan of wool. It’s natural, it’s super durable and it’s the only material that will still provide insulation when wet. When people think of wool, they think of brands like Woolwich, or Filson or LL Bean that make classically-styled wool hunting clothes. 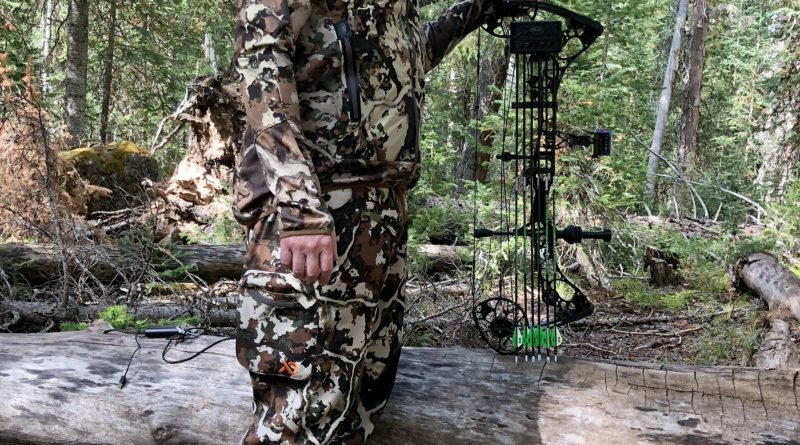 We don’t think of modern technical hunting apparel. First Lite takes advantage of the unmatched properties of wool and marries it with some high tech materials. 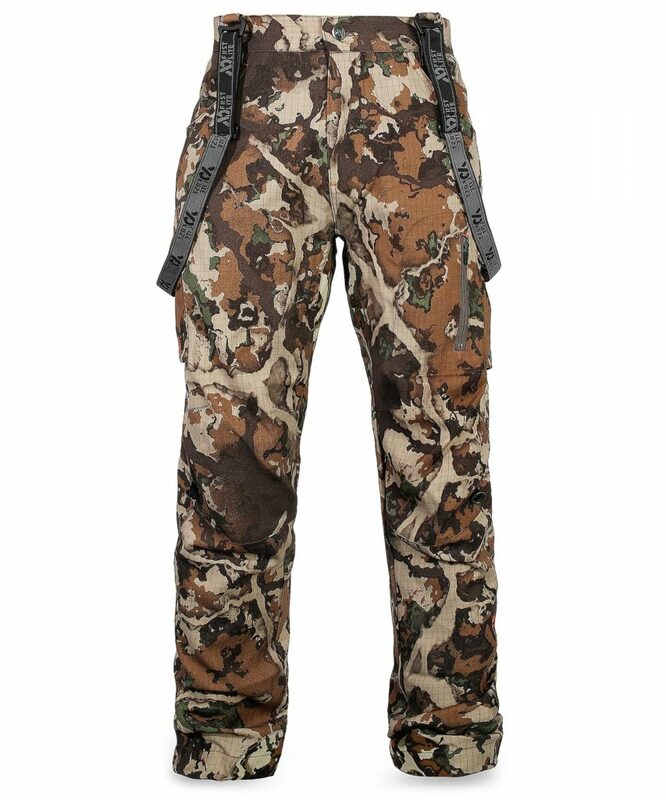 The result is some very high-quality backcountry hunting pants. Check out our review of the First Lite Obsidian Pants. 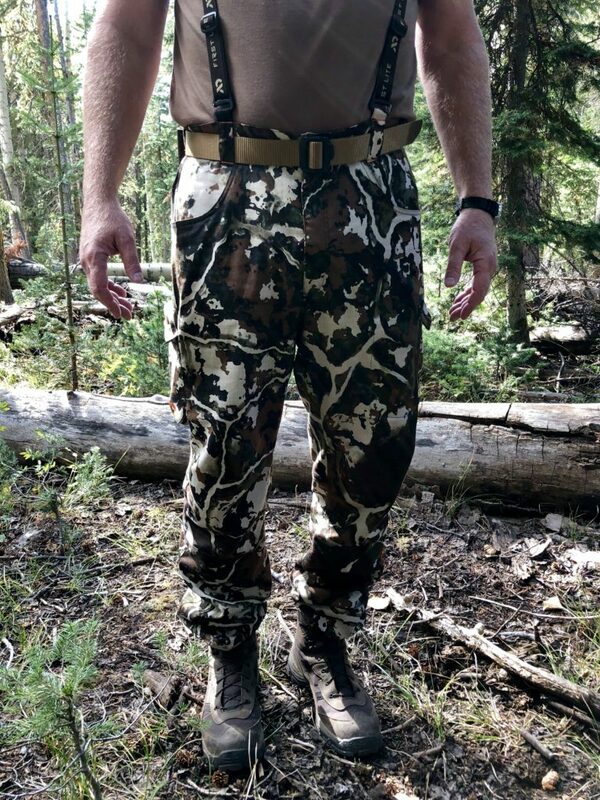 I used my First Lite Obsidian Pants on a recent Colorado Archery Elk hunt. There were a couple of things that were really notable about these pants. First, they are lightweight and extremely comfortable. I don’t think that those two factors can be emphasized enough for the backcountry elk hunter. When you’re hiking for miles every day in steep and deep county, you need pants that are lightweight and comfortable. The other area that I thought was notable was the durability. For anyone who’s ever hunted elk, you have a love-hate relationship with blowdown. It’s utter hell to navigate. At one spot on my hunt the blowdown was so thick that I went a solid 50 feet without ever touching the ground. But, it’s often where you find elk. I lost count of how many times that I jabbed my shins on blowdown branches. What surprised me is after a week of abusing these pants, I didn’t have a single rip or puncture. One of my favorite features of the First Lite Obsidian Pants is the provided detachable suspenders. Over the years I’ve found that wearing suspenders when I’m hunting really saves my back by helping you maintain good posture. First Lite designed these pant to have no UV signature or shine. They also fend off odor-causing bacteria better than any synthetic fabrics. I can personally attest this feature as I wore mine for a week without washing and they were totally funk-free. I also like that they’ve sewn in stretch nylon panels in key areas for more range of motion and durability key areas. The Obsidian’s are machine washable and will dry quickly over a branch or on a line. Actual Product Weight Size MD 22 oz. At $180 MSRP, the First Lite Obsidian Pant is a premium quality technical hunting pant. 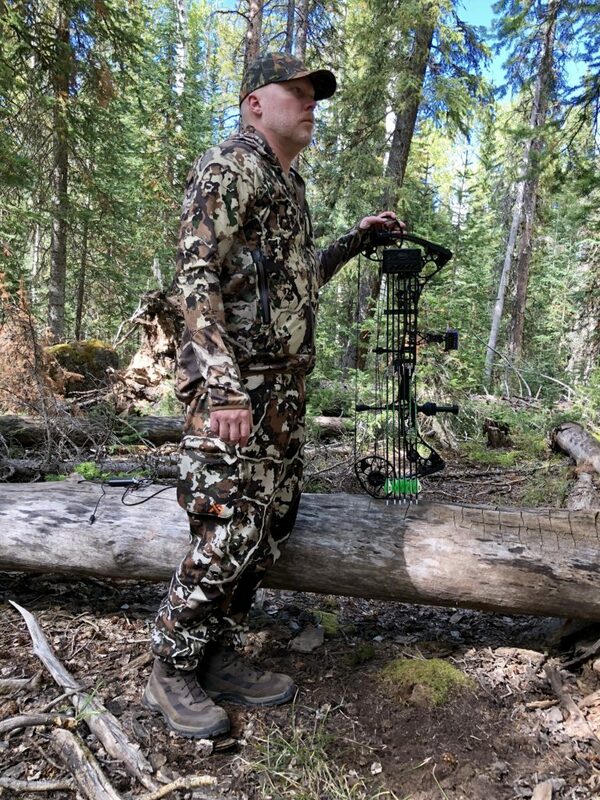 They are an excellent choice for a wide variety of hunting scenarios and were absolutely perfect for my Colorado archery elk hunt.